Mainly because I designed this one, just a bit of fun really. Earlier this week I was designing a promo for a tshirt designer and was inspired to give it a go myself so I thew this design together and had it printed. It’s not perfect, going back to desiging stuff for print is very different to web design.. .but as far as first attempts go I’m pretty happy with it! 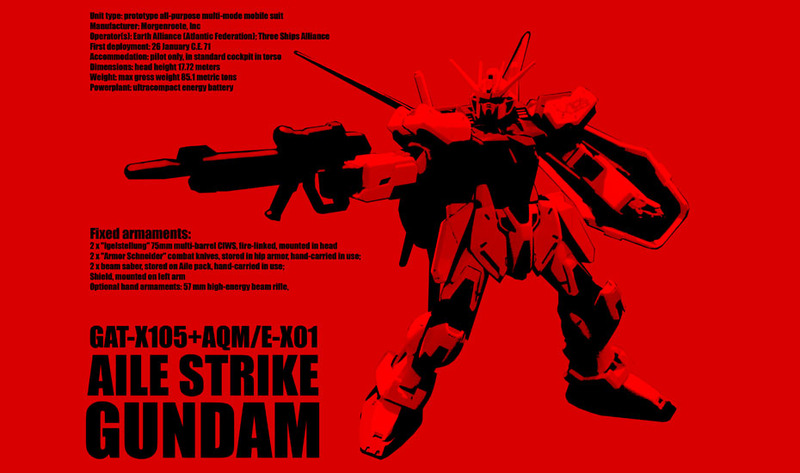 The design features the GAT X-105 Aile Strike Gundam of Gundam Seed fame, along with various technical data related to it. The Katakana in the bottom right was supposed to translate to ‘Tubbygaijin’ but thanks to my bad translation kinda doesn’t 🙁 and there’s a QR code in the top right which redirects to.. you guessed it, my blog! 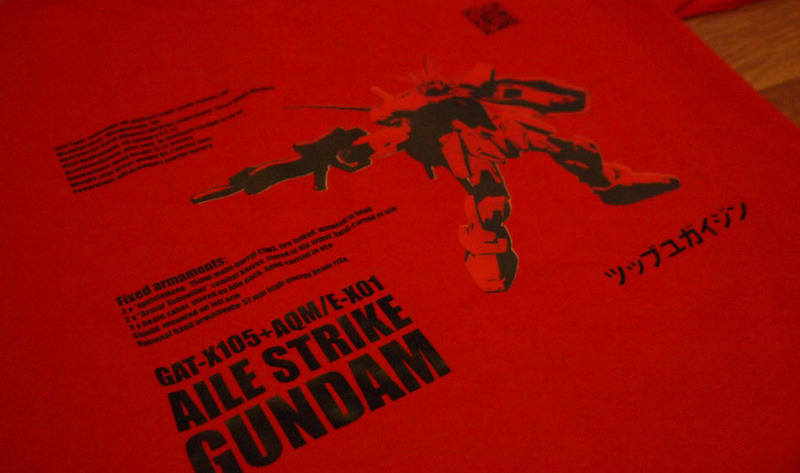 Aile strike is actually a photo of my NG 1/100 kit, photographed on a very crappy attempt for a black background. If I do another i’ll redraw in Illustrator so I have some nice vector artwork. With a bit of photoshop dabbling I converted the image into a semi cel-shaded version of itself, threw a bit of text around it and hey presto, tshirt design. 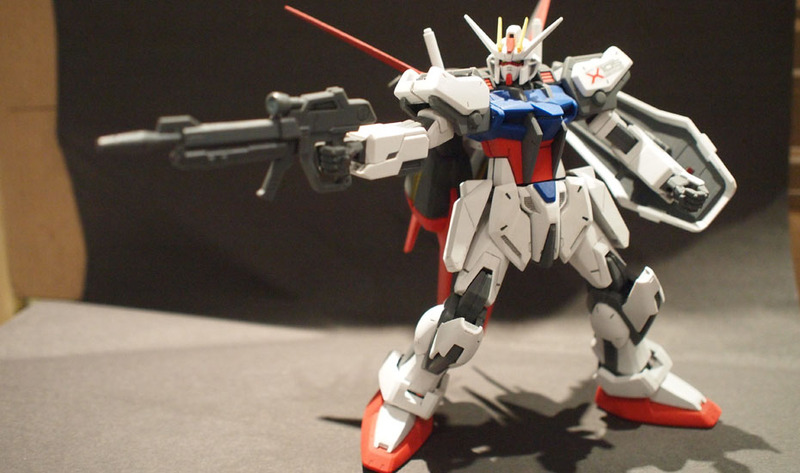 Might have to design one for my favourite, Red Frame! For the romaji you should write Tabi-gaijin instead!